On Wednesday, January 25, the Oxford Police Department served and arrest warrant on Calvin McGlown (33 of Oxford, MS) for identity theft. On September 3, 2016, the Oxford Police Department received a report of several credit cards that were opened in the victims’ name. After receiving paperwork from several different credit cards companies that linked McGlown to the accounts, the victim signed charges. McGlown was given a bond of $2,500. On January 23, 2017 officers with the Oxford Police Department responded to Marquis Towing on South Lamar Blvd in reference to a credit card being stolen that belonged to the business. Andrew Goodwin (19 of Oxford) and Alexis Wright (21 of Oxford) then went to various locations throughout Oxford and Lafayette County using the stolen credit card, total amount was over $1,000. Once charges were filed against Goodwin and Wright, deputies with the Lafayette County Sheriff’s Office were able to locate them and they were arrested on credit card fraud. Both Wright and Goodwin were given a $2,500 bond. On January 23, 2017 a victim reported to the Oxford Police Department that someone had stolen her checkbook and written a number of checks from 1/3/17-1/20/17 for a total of $1,851.44. Upon investigation it was determined that Chelsea King (24 of Oxford) stole the victim’s checkbook and wrote the checks. An arrest warrant for uttering, forgery was issued for King and served on her at her home. King’s bond was set at $5,000.00. On Monday night, January 23, the Oxford Police Department arrested Anthony Bailey(26 of Wesson, MS) for Possession of a weapon by a felon. On January 23, officers with the Oxford Police Department were doing patrol around the square when they noticed a fight breaking out. Once Officers got everything under control they arrested Bailey when they found that he had a knife in his possession. After speaking with witnesses, it was found that Bailey threatened to stab someone with the knife which had a 4 inch blade. 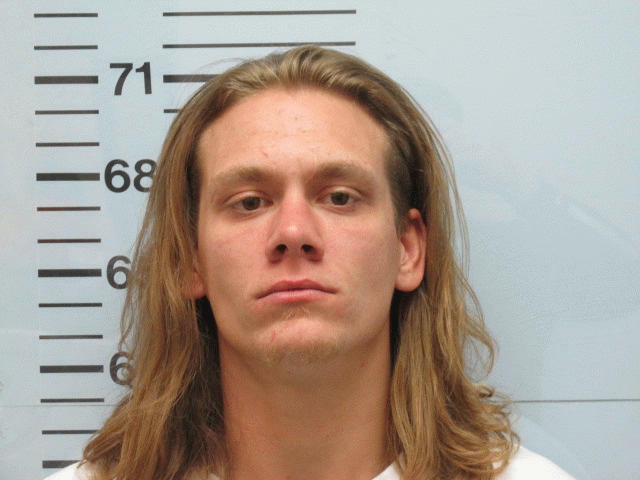 Bailey had a previous felony conviction for Aggravated Assault and Robbery, he was given a bond of $10,000. On 1/18/17 Investigator’s with the Oxford Police Department served an arrest warrant on Ashley Peeler (35), of Aberdeen, for felony embezzlement. Peeler was employed at The Neon Pig and is accused of embezzling over $20,000. The business signed charges on Peeler and his bond was set at $10,000. On January 14, 2017 officers with the Oxford Police Department were dispatched to Sam’s Cell Phone on Jackson Ave for an alarm. Upon arrival officers found the back door had been forced open and one of the windows appeared to have been shot out with a pellet gun. After watching video footage from the business it showed that two black males entered the business and stole a hover board. Later in the morning it was found that three more businesses had their windows shot out with pellet guns. One of which was New York Fashion, where approximately 3 thousand dollars in jewelry was stolen. While investigating the commercial burglary at New York Fashion, officers found a vehicle that had the window shot out and it was burglarized. Officers searched the area and located four suspects who were identified as Willie Shaw (18), Lorenzo Shaw (19), Jamaris Robertson (20), and one juvenile, all from Oxford. All four had the stolen jewelry and the hover board in their possession at the time of the arrest. All four were charged with two counts of commercial burglary, one count of auto burglary, and one count of felony malicious mischief. The three adults were given a bond of $45,000. On January 11, 2017, Investigators of the Oxford Police Department arrested McKendrick Bounds (24) of Water Valley for one count of Secretly Photographing for Lewd Purpose. Bounds was accused of secretly recording a female that he was in a dating relationship with. She did not know she was being recorded. Bounds has been arrested and his bond was set at $5,000.00. On Friday, January 6, the Oxford Police Department arrested Colby Estes (23 of Oxford, MS) for domestic violence-aggravated assault. 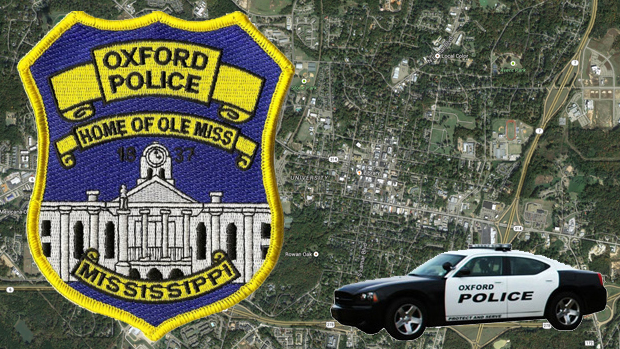 On 12-29-2016, the Oxford Police Department took a report of the assault and the victim stated she was strangled and weapons were involved, no life threating injuries were reported. Estes was later stopped on a traffic violation and arrested without incident, he was given a bond of $10,000. On 12/19/16 Investigators with the Oxford Police Department took a report that Shannon Garron, 21 of Oxford, had embezzled money from her job at Dollar General. The total amount alleged is over $4,700. Charges were signed on Garron and a warrant was issued on 12/27/16. On 1/5/17 Deputies from the Lafayette County S.O. served the warrant on Garron at her residence in the county. Garron was booked at the Lafayette Co. Detention Center and her bond was set at $2,500.00. On 12/28/16 Investigators with the Oxford Police Department arrested Marvin Bell (51) of Oxford, for Felony Credit Card Fraud and Petit Larceny. On 12/23/16 Mr. Bell went into City Hall and entered an office where he stole a purse. After he left the building, he went out and used the victims credit card for over a $1,000.00. Mr. Bell was charged with Petit Larceny and Felony Credit Card Fraud. Bond was set at $10,000.00.